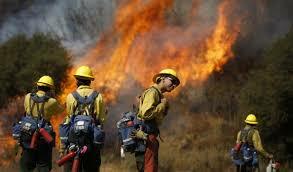 Wildland fire is one of the most destructive types of fire out there. Saw Armor is working with Wildland firefighters to develop new solutions that help them be safer and have a better day out there. We worked with Cal Fire Helitack C-102 to develop a SawPack that helps them carry saws on their backs vs over the shoulder. Inmate crews and Hotshots are running our Saw Armor plates on their STIHL MS 460's to protect their saws and prevent burns and contact ignition fires from the hot muffler. Stay tuned for more to come in 2018.